These photos were taking as I was coming home on Amtrak’s Southwest Chief. 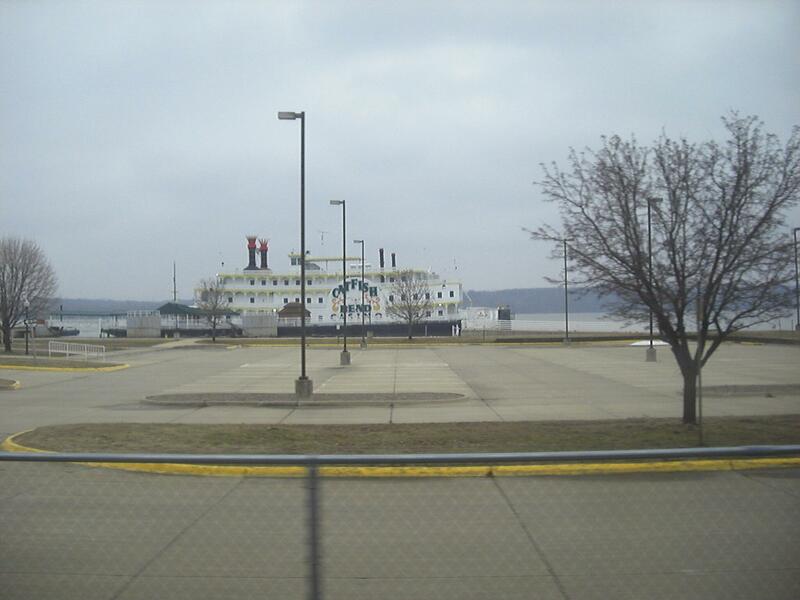 The Catfish Bend Casino Riverboat in Fort Madison Iowa is no longer operating. 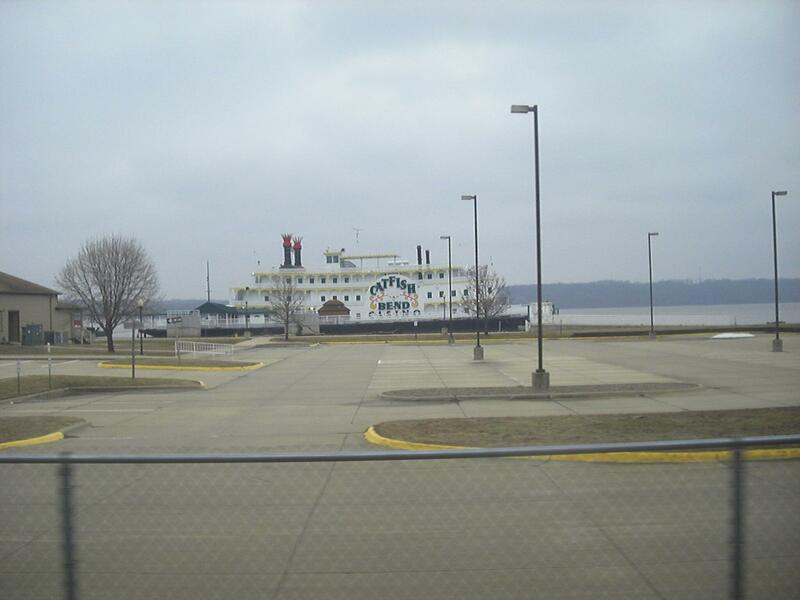 The company moved casino operations further North to Burlington Iowa. From my reading this may have taken place sometime in 2008. 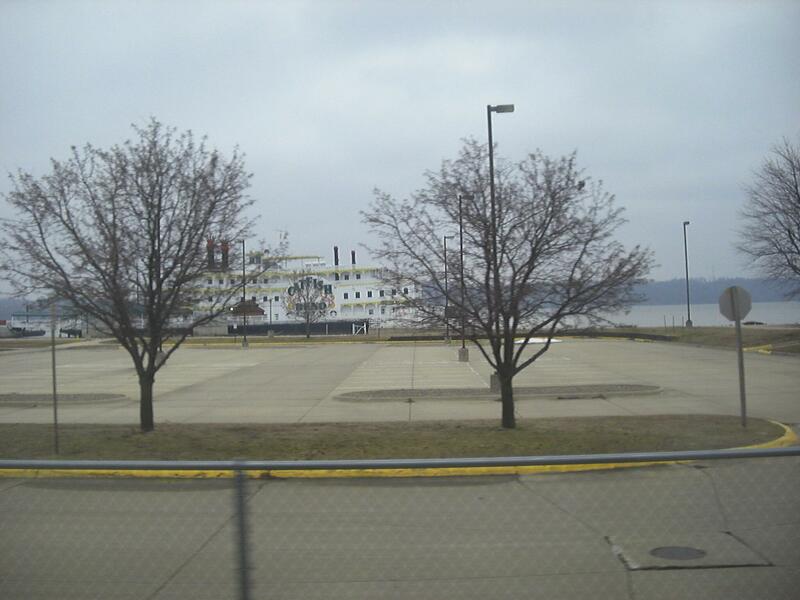 A shuttle service is available from Fort Madison to the Burlington location. The new facility is land based featuring 2 hotels ( PZAZZ! Resort Hotel, Catfish Bend Inn & Spa ) and a water park ( Huck’s Harbor Outdoor Water Park ). Although I have passed this location two years in a row during my Amtrak Southwest Chief adventure – I’ve never actually played at Catfish Bend. I have received several offers from them in the mail. I was coming home from a week long trip to Las Vegas when I took these pictures.